Biotoxis is a qPCR all-in-one detection kit that detects B. anthracis, Y. pestis and F. tularensis, 3 pathogens that constitute the first potential biological weapons causing lethal infection (anthrax, plague & tularemia). 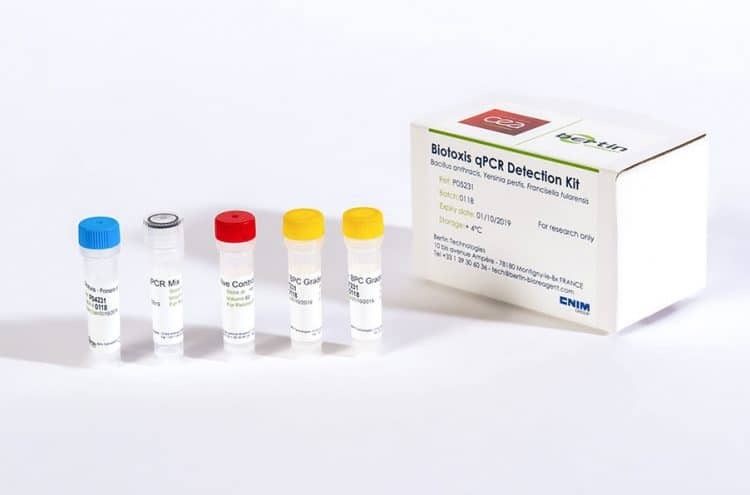 Highly sensitive, this kit is the only one on the market that detects in one reaction all 3 agents, ensuring a rapid response in a context of a global bioterrorism. 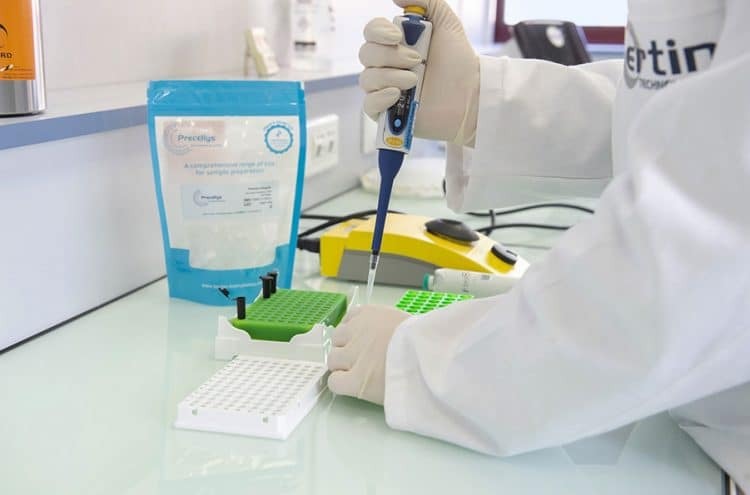 The Biotoxis kit provides a simple, reliable and rapid method for detection in air, water, and any biological samples. It is dedicated to CBRN teams, first responders, and R&D labs that work on these 3 agents for a quick intervention in the event of a suspected biological attack. In multiplex, detection limits are 17 copies of target template for B. anthracis, 20 copies for Y. pestis and 49 copies for F. tularensis. All liquid components can be stored at +4°C for 6 months. 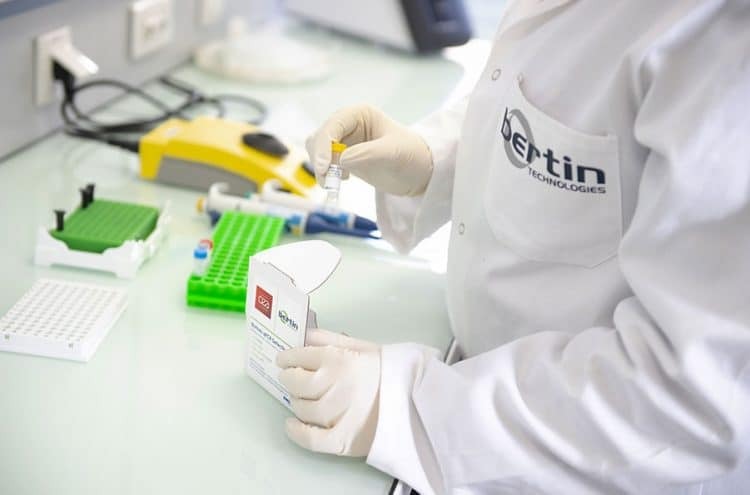 For the fight against CBRN terrorism, Bertin Instruments offers high performance solutions for air sampling and analysis in order to detect biological threats and airborne pathogens.